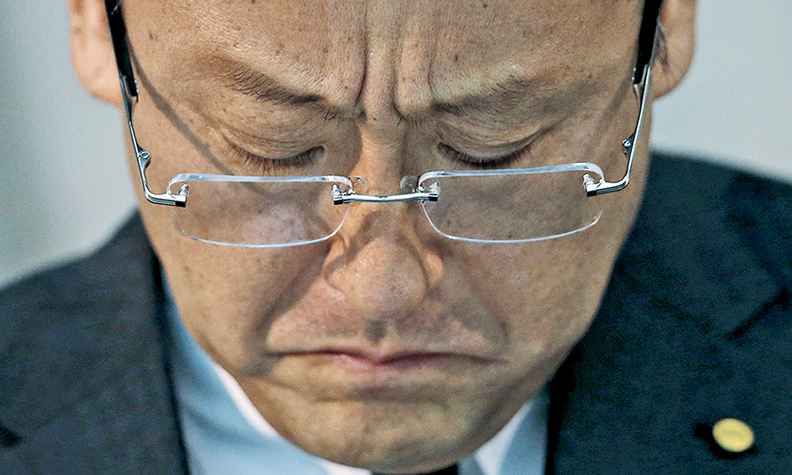 TOKYO -- Just three months ago, Akio Toyoda sent shock waves through Toyota, promoting three non-Japanese executives to top positions at headquarters in an effort to make the company's leadership reflect its global reach. Yet a pair of culture clashes last week suggest that the Toyota chief's effort to shake up the company won't be easy. 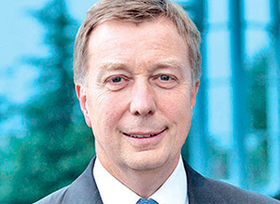 Didier Leroy, a Frenchman who was appointed in March to become Toyota's first non-Japanese executive vice president, came under fire last week at the annual shareholder meeting from dealers upset that he speaks little Japanese. It was the first time a non-Japanese executive had addressed shareholders at Toyota's annual meeting. Global communications chief Julie Hamp, an American who was named Toyota's first senior-level female executive in March, was arrested June 18 at a Tokyo hotel for allegedly importing a narcotic painkiller in an apparent violation of Japan's strict drug laws. The stumbles with two high-profile foreign executives cast a pall over what had been a bold move forward in the internationalization of the world's biggest automaker. The company's outward-looking leader had elevated Hamp, Leroy and others, including an African-American executive, in the hope of injecting fresh thinking and wider global perspective into an upper management long dominated by older Japanese men. The aim of the March shake-up was to make the world's largest automaker more representative of the global markets it serves. Toyota derives about three-quarters of its sales from overseas. About 80 percent of the company's 338,875 employees are outside Japan. But last week's events called attention to a persistent cultural divide. Toyota had positioned Hamp as a rising star in breathing U.S.-style public relations into an opaque Japanese operation. The 55-year-old was hired by Toyota Motor North America just three years ago as the company sought to repair an image battered by a string of recalls and class-action lawsuits. 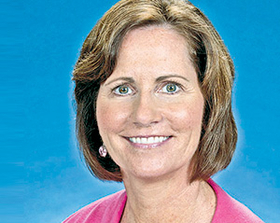 She came to Toyota after five years at PepsiCo and, before that, 25 years at General Motors. At a hastily called evening news conference the day after Hamp's arrest, Toyoda was grilled about whether it would trigger a rethinking at Toyota about opening its doors. The simple answer from Toyoda -- president of the company and grandson of its founder -- was no. "We will maintain this diversity promotion policy," he said, adding that he felt a personal bond of responsibility to Hamp because she was one of his direct reports. He suggested that Toyota had not done enough to prepare Hamp for settling in Japan and adjusting to its rules and mores. "All of them are like my children," Toyoda said of his executives. "Protecting the children is the responsibility of the parents. Ms. Hamp is a very important, trustworthy friend." But in a sign of contrition, Toyota pulled its TV advertising from key time slots in Japan to maintain a low profile as domestic media latched onto the story. Toyota also canceled a press event to announce a new range of turbodiesel engines. "I apologize for the confusion surrounding recent events," Toyoda said. "In addition to being a close friend of mine, Julie Hamp is an invaluable member of Toyota's team." On Friday, June 19, Japanese media reports cited police investigators as saying that a parcel addressed to Hamp and labeled "necklaces" contained 57 oxycodone pills buried at the bottom or in packets, as well as toy necklaces and pendants. A Tokyo police spokesman said the package was sent via international mail from the U.S. and was intercepted by customs agents at Tokyo's Narita airport on June 11. Hamp told police she didn't think she had imported an illegal substance, the spokesman said. Oxycodone is a legal prescription medicine in the U.S. and Japan, but Japanese regulations heavily restrict its import through a thatch of paperwork and government approvals, said an official at Japan's Health Ministry. Toyota declined to comment on whether Hamp had a prescription for the medication. Hamp's arrest came just after Leroy, Toyota's first non-Japanese executive vice president, made his debut at the company's annual shareholders' meeting. Not all the attendees were impressed. One domestic dealer said he was "shocked" that Leroy, 57, would be put in charge of Toyota's businesses in advanced markets, including Japan, according to a transcript of the gathering. Another shareholder asked how much Japanese Leroy could even speak, and then bluntly opined that the home market should by run by a Japanese speaker. The event, which was designed to introduce the new executive vice president and board member as the fresh face of a new, more international Toyota, soon devolved into a scramble among executives to defend the Frenchman. Masamoto Maekawa, the retiring executive vice president whom Leroy is succeeding, tried to reassure dealers that their main point of contact would still be Japanese regional managers. And Toyoda jumped in to argue that language skills were only one set of tools, and that age, gender and nationality shouldn't be constraints in placing qualified people. After Hamp's arrest, Toyoda continued to put a positive spin on the growing pains. "It's a new situation for us," he said, sticking to his diversity mantra. "We want to become a truly global company. ... We have to choose the appropriate person for each position."